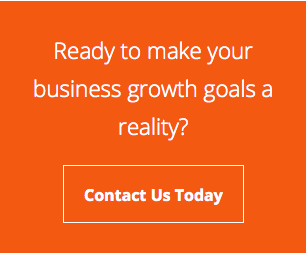 Take a few hours to gather some great information and ideas to make your 2015 a great year! Come on over to Chemcoaters for networking, lunch and to see new and exciting things to amaze your customers! Call Mike Tieri to reserve your spot for a fun, interesting and informative session! Based in Gary, Indiana, Chemcoaters is a leading supplier of green coil coatings, as well as traditional prepaint and protective coil coatings, dry film lubes and RoHS-compliant coatings. Virtually no VOCs or HAPs are present in the process. The company’s patented InterCoat ChemGuard® is formulated with trivalent vs. hexavalent chrome, making it environmentally friendly for all building, architectural and mechanical appliance applications. 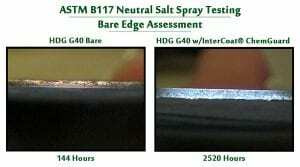 Superior corrosion resistance and documented cost reductions are provided, as well. Chemcoaters offers a presentation that evidences these facts to all interested parties. Any companies interested in attending an upcoming Cigar Fest can contact Mike Tieri (details below). InterCoat®ChemGuard now a Registered Trademark of Eco-Green Coatings, LLC, a Division of Chemcoaters, Inc. Effective immediately, InterCoat® ChemGuard is now a registered trademark of Eco-Green Coatings, LLC a division of Chemcoaters, Inc., the Gary, Indiana-based coil coater in service to metals producers, service centers and OEMs nationwide. 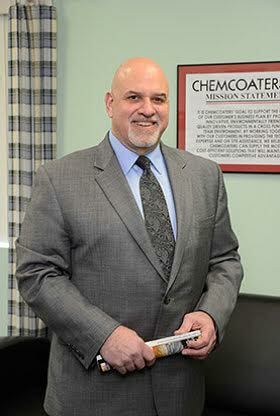 This announcement was made today by company president Bill Capizzano at Chemcoaters headquarters. The InterCoat® ChemGuard family of stand-alone coatings and hybrid pretreatments is highlighted by the ChemGuard 300 Series, a RoHS-compliant (hexavalent chrome-free) coating that features the unique chemistry of trivalent chromium vs. the standard hexavalent chromium used for decades in the metals coating industry. 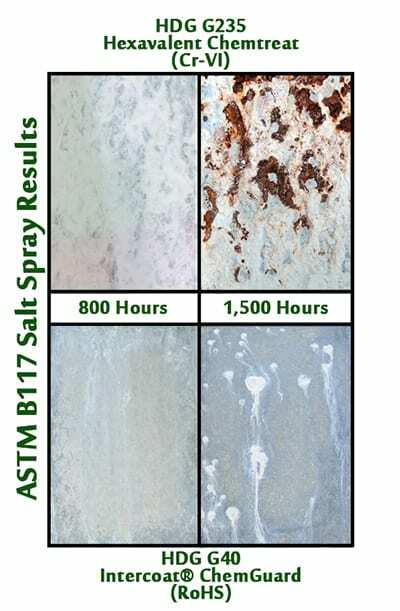 With comparable or, in many applications, superior corrosion resistance to hexavalent chrome treatments, this coating bridges the long-standing divide between performance and environmentally-friendly product in the market. InterCoat® ChemGuard is a highly corrosion-inhibiting and adhesion-enhancing coating technology that creates a permanent covalent reaction with any zinc or zinc-alloy coated substrate. 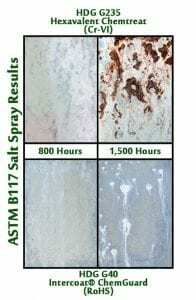 Used as a hybrid pretreatment, the product enhances corrosion resistance in a 20%-50% thinner coating onto the substrate, while exceeding the prevalent corrosion standards in industry, ASTM A1003/A1003M. Since its development in 2011, the InterCoat® ChemGuard family has grown to include a RoHS compliant trivalent chrome product with many color tinted versions of the product now available. Used as a pretreatment, InterCoat® ChemGuard is an ideal complement to pre- and post-paint, powder and other surface coating requirements. Originally developed for the metal stud and other building/construction applications, InterCoat® ChemGuard coatings are now used extensively in end products for the transportation (automotive, bus, truck and RV), consumer products (appliance, power-gen, and HVAC), agricultural and off-highway vehicle markets, among others. 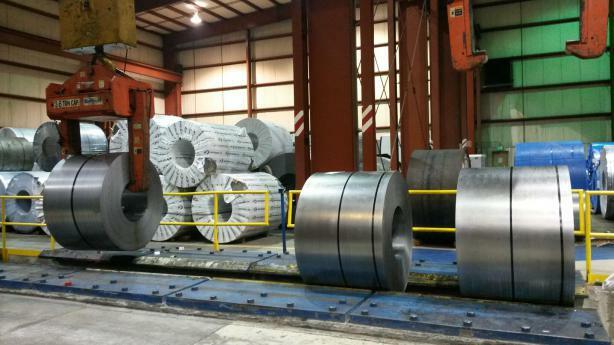 Based in Gary, Indiana, Chemcoaters, Inc. is a leading supplier of green coil coatings, as well as traditional prepaint and protective coil coatings such as dry film lubes and other RoHS-compliant coatings. Virtually no VOCs or HAPs are present in the process. The company’s patented InterCoat® ChemGuard 300 coating is formulated with trivalent chrome vs. hexavalent chrome, making it environmentally friendly in all building, architectural, transportation and consumer appliance applications. InterCoat® ChemGuard 300 coating has superior corrosion resistance, as well. Chemcoaters offers a presentation that evidences this fact to all interested parties. See the video to learn more HERE.